The sizing is not true and they are not made as well as ones I've purchased in store. Overall not very happy. My words are if it's a good deal it may not be a good deal. The steel toe boot was tighter so I returned them for a bigger size. It's a great boot. However, a steel toe fits narrow at the toes. I had to return to get a larger size. This is the 6th pair of Carolina boots I've owned but the FIRST steel toe pair. This is my third pair in five years, I wear these Boots all day every day. for work, play, going out. I bought all three pairs from shoe line .com. I have made many purchases from Shoeline and I have always been pleased. The customer service is excellent, the prices are great, and always has fast shipping of the items that are ordered. Year after year, I have always had excellent service. I'm on my feet all day these boots are not what I thought they were. 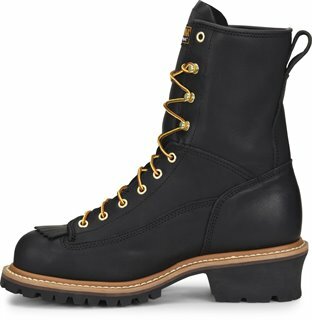 I've been wearing Chippewas and wanted to try something different, I made a mistake. Way cheaper than those Boot Barn clowns. Quality is all Carolina knows, feels like I'm walking on clouds at work. EXCELLENT BOOTS,everyone that see's them wants a pair for themselves. Your sells should increase next winter. 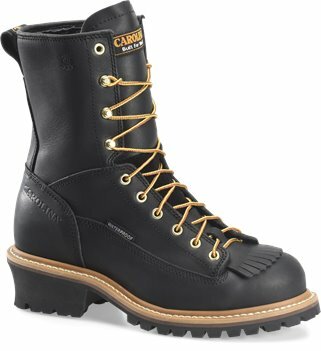 I bought these boots for my son who works in construction. He absolutly loves them. They fit perfect. The best boots he ever had. I was very happy with the hole transaction the boots were just as advertised . and I saved about $30.00 bucks by buying on line.